Duarte studied Cellular Biology and Biotechnology at the University of Lisbon, Portugal, and afterwards he did his PhD at Instituto de Tecnologia Química e Biológica, of the New University of Lisbon, in Oeiras, Portugal. There, under the supervision of Dr. Nelson Saibo and Prof. Margarida Oliveira, Duarte worked on the regulation of abiotic stress responses in rice. After graduating in 2012, Duarte moved to Sweden, to work as a post-doc in Prof. Claudia Köhler‘s group at the Swedish University of Agricultural Sciences, in Uppsala. 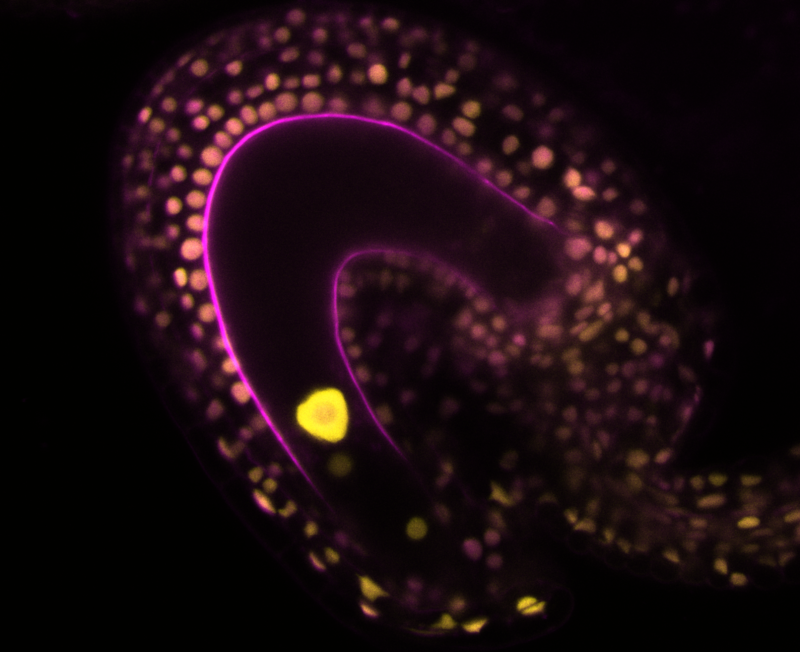 There, Duarte became interested on the regulation of seed development in the model species Arabidopsis thaliana. In 2018, Duarte moved to the University of Potsdam, in Golm, Germany, where he started establishing his group in the Laboratory of Genetics, headed by Prof. Michael Lenhard.